An easy, low-cost solution using Crestron Mercury and the OnSIP service. Most of us have used a web-based video communications platform, whether Skype, Hangouts, WebEx, GoToMeeting, Bluejeans, Zoom, Microsoft Teams, Slack, HipChat, Amazon Chime, or Cisco Spark. They’re great for one-to-one video calls using a laptop or mobile device, but for group-to-group calls, not so much. 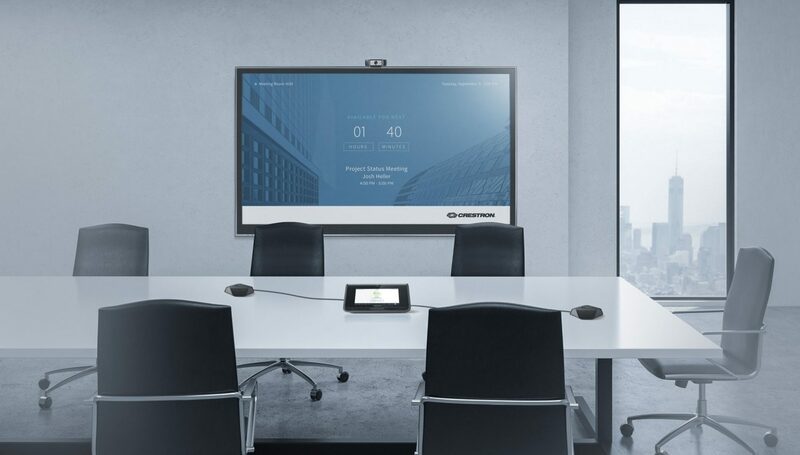 Enter Crestron Mercury, a game-changing device that can work with any of these platforms in a conference room or huddle room, utilizing the room’s audio visual system and controlling every component. 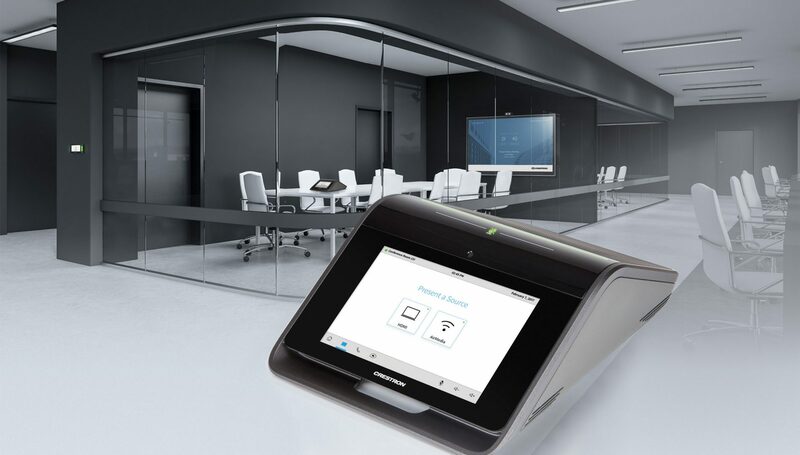 It’s been called the Swiss Army knife of collaboration, a very high quality speakerphone, control panel, and room interface, with wired and wireless computer connections, audio and video connections, and its own camera. Mercury has a number of very cool features, including the ability to tie into a standard calendar/scheduling system to set up audio and video conferences. It can be remotely managed and configured as well, making it practical to deploy across a large organization. Mercury is truly revolutionary, but you need an IP phone system to use it, and many companies don’t have one. There is a simple solution, however – sign up for an inexpensive SIP service and use it for your Mercury-equipped rooms. OnSIP offers a variety of plans to cover almost any need, starting with a basic service that’s absolutely free. There’s a pay-as-you-go plan with more features, and an unlimited-use plan at $24.95 per month per conference room. Would you like to learn more about Mercury and OnSIP?